Stuntworx teach non competitive/ recreational gymnastics in Galway. Gymnastics is good for children, building core strength, stability, posture and discipline through body weight exercise. We practice general gymnastics. 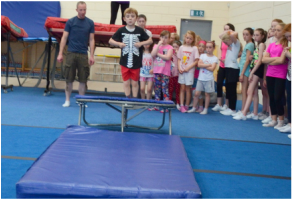 Recreational Gymnastics Galway for 4-6 and 7-18 years, floor, beam, trampoline, vault and tumbling. 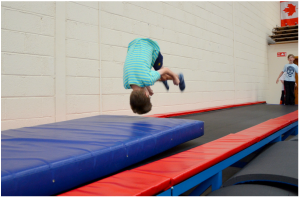 Trampoline Gymnastics for Galway Gymnasts aged 6 years and up. Learning routines including jump shapes and twists, then somersaults and rotations.